The Rev. Marek Bozek offers prayers during his first Christmas Eve Mass as the paster of St. Stanisiaus Kostka Church in St. Louis on Saturday. 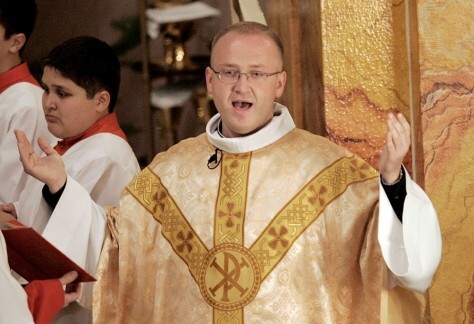 Bozek was excommunicated by the Catholic Church after he left his previous parish without his bishop’s permission.